Welcome to Day 3 of the Berkshire Blazer sewalong! 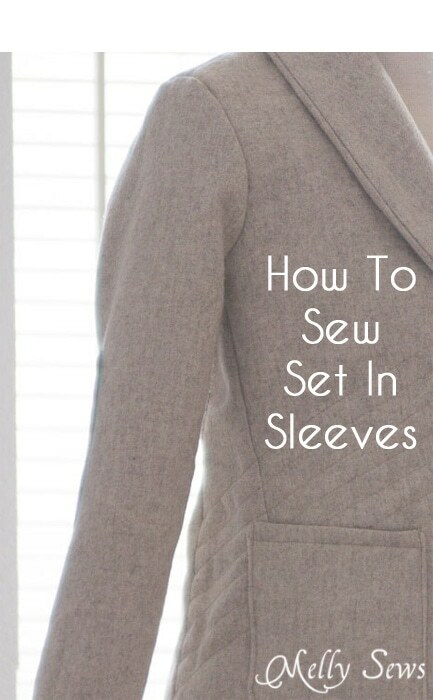 Today we’re going to be talking about how to set in sleeves. 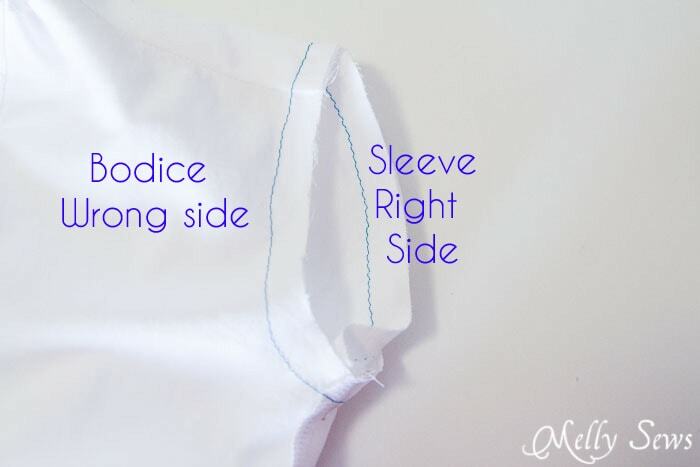 Sleeves need to be sewn using the set in method instead of the flat method when the sleeves need to be eased, which is often the case with more formal attire. 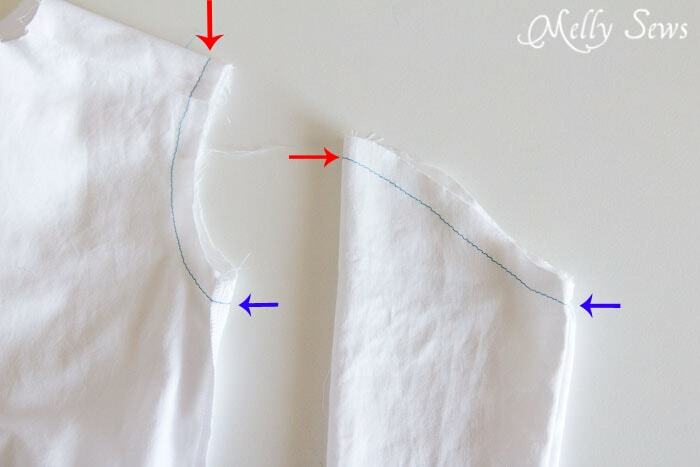 If you look at the blue basting lines below, when you sew any sleeve, you are matching the seam lines to each other. One way to do that is to actually staystitch basting lines, as I have done. This gives you something to match up. 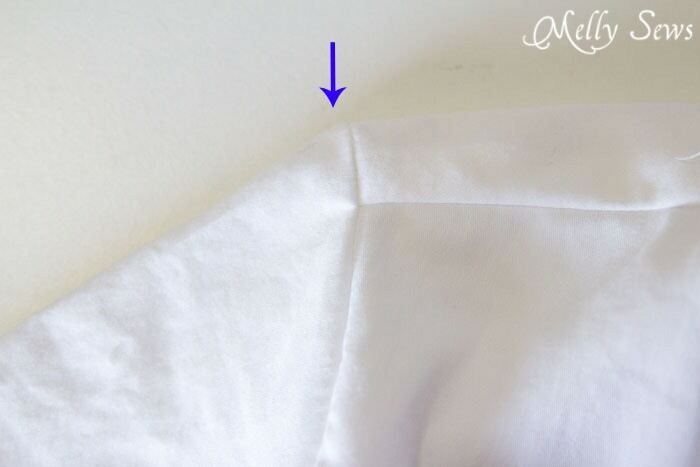 It also allows you to gather the sleeve very slightly at the cap to help ease it into the armscye. I usually don’t staystitch or gather. I actually use pins to ease my sleeves. First, I pin the areas indicated by the arrows above, matching the red arrows and blue arrows, with the sleeve right side out placed inside the bodice which is wrong side out. Once those two pins are in place, it becomes easier to start pinning in between them. I place one pin in the middle of those two pins, then a pin in the middle between the new pin and the side seam pin, then a pin in the middle between those, and so on, until the seamline is almost flat. As I’m pinning, I use my fingers to stretch the armscye as much as I can to make the sleeve pucker less. You want enough pins so that any gathers or puckers are miniscule. However, even when the seamline is flat or almost flat, you’re going to see the sleeve itself have a wavy or puckered edge. This is OK, it’s supposed to look like this. That extra fabric that makes the waves is also what pushes the sleeve out at the shoulder line to mimic the shape of the shoulder. Once all your pins are in, another trick is to sew with your needle inside the sleeve – I find this helps me be less prone to accidentally puckering the sleeve and helps stretch the armscye to ease the sleeve in with as few puckers as possible. Lastly, make very sure your Berkshire sleeves are set in the right way. 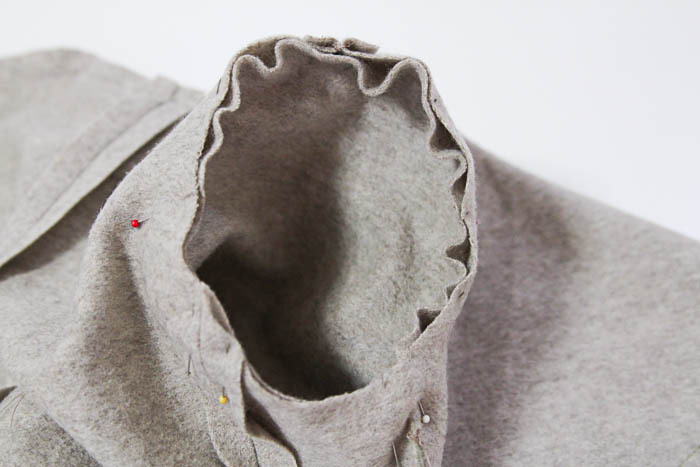 The seam on the sleeve should match the dart, NOT the side seam, and the elbow patch should be on the back. 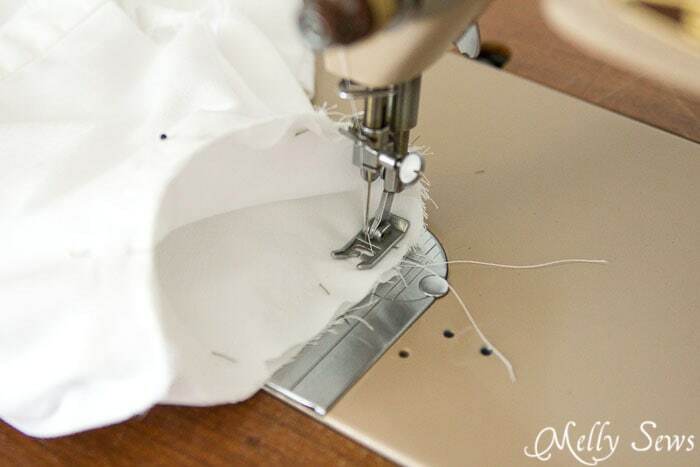 It’s easy to get turned around while pinning, so make sure that you pin and check the sleeve before sewing it in, to avoid a date with the seam ripper! Go to Part 4 of this sewalong here. This is super-useful. I was wondering about this. I think I make my sleeves pucker too much usually.